Draft legislation has been passed by a committee of the European Parliament to extend maternity leave across Europe to 20 weeks on full pay. Current European rules give women 14 weeks leave fully paid. In the UK, women get a year off, with the first six weeks on 90% pay, followed by 33 weeks on Statutory Maternity Pay. The rest is unpaid. The 20-week proposals will now go before the full European Parliament in early March. There are concerns that employers could discriminate against women of a child-bearing age if the rules are passed. The UK& #39;s Employment Relations Minister Lord Young expressed his doubts about the proposals. "We already have a generous system which is better than many European union countries and works well, balancing the needs of businesses and workers," he said. "A substantial increase in maternity leave paid at full or near-full pay risks undermining this delicate balance at a time when economies across the EU can least afford it." Business groups also voiced their concerns about the additional cost to companies of extra maternity payments. The Institute of Directors estimated that the cost to UK businesses of the new rules could be between £1.5bn and £2bn a year. 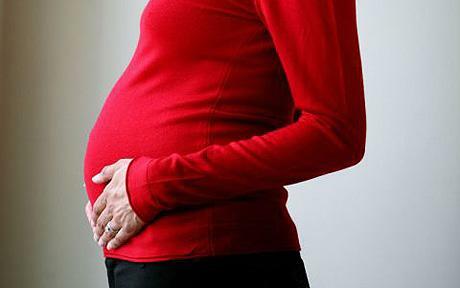 Dr Adam Marshall, at the British Chambers of Commerce, said: "The Pregnant Workers Directive should be about setting minimum EU standards for the health and safety of pregnant workers - not adding new payroll costs for overburdened companies and national social security systems. "This vote introduces complexity and uncertainty, which are totally unnecessary, as the UK and other EU countries already have well-developed national maternity pay systems." However, there is no certainty that the proposals will be passed by the European Parliament. BBC Europe Business reporter Nigel Cassidy said it was "unlikely" that the proposals would be passed, mainly because of the current economic climate. He pointed out that similar proposals - for 20-weeks maternity leave but with just 6 weeks at full pay - were voted out by the Parliament about 18 months ago. "Conservatives and liberals felt the proposals would have the reverse effect and discourage employers from taking women on," he said.